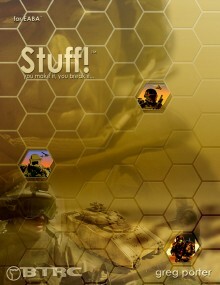 This page will be updated once a week (usually on the weekend) with the latest registered games submitted that week. The Dictionary of Mu is a pulp fantasy setting supplement for Ron Edwards' Sorcerer RPG where demons are dead things, bits of history made wrong. Players will decide the fate of the planet through play, adding to the dictionary as they go and creating a deeper and richer history with every demonic summoning. In this dark, grotesque, yet strangely charming collection, famed author Lafcadio Hearn translates and retells 20 Edo-period "kwaidan", or Japanese ghost stories. A companion text to the celebrated game, The Mountain Witch. Description: Steampunk Musha is an alternative setting for Iron Gauntlets that features a Victoriental feudal land, torn between honoring the old traditions and embracing new technologies. It includes all new and original player races, such as clockwork ronin, the half-demon jinteki-oni, keshou (goblin cousins), and the juunishi-p'o (human-spiritual hybrids of the zodiac animals); new gimmicks, backgrounds, and vocations; two new forms of magic; new dueling, melee, and ranged weapons including firearms; and a bestiary that includes dangerous creatures, spirits, and oni. 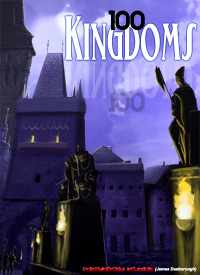 Part of the '100' series, 100 Kingdoms presents 100 fantasy kingdoms to be slotted into fantasy games or used as inspiration. One per page with outline, description and a few plot hooks to boot. From Hermetic rituals to low magic, animism to numerology, Wyrd-Fu plumbs the depths of the dark arts. 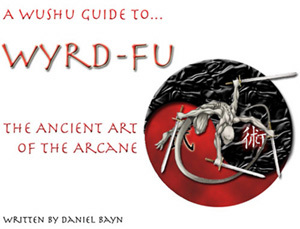 This 14-page PDF provides copious advice on creating your own mystical traditions and using Wushu's fluid mechanics to bring them to life. It also features three detailed disciplines (Hoodoo, Non-Euclidean Geomancy, and Virtual Animism) and two arcane Examples of Play. 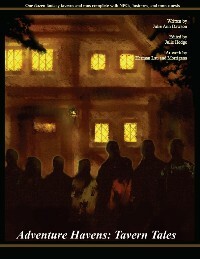 The PDF comes with a printer friendly version and the enhanced viewing version. Emily Care Boss, "Collaborative Roleplaying: Reframing the Game"; John H. Kim, "Immersive Story Methods for Tabletop Roleplaying"; Shreyas Sampat, "Mridangam"; Eero Tuovinen, "Against the Geek, Choice"; Jonathan Walton, "Waiting for the Queen/Tea at Midnight"; plus running insights from special guest commentators Victor Gijsbers, Jessica Hammer, Brand Robins, Annie Rush, Paul Tevis, and Moyra Turkington. Universal design tool for the EABA rpg system, allowing creation of weapons, armor, vehicles, creatures, gadgets and civilizations, using either the rule guidelines or automated pdf-based calculation tools. The ultimate tome of koboldic lore! 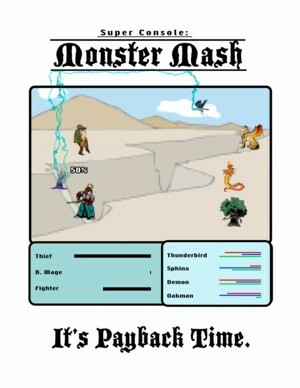 Turn everyone's favorite low level monster into a force to be reckoned with. Three new sub-races, feats, spells, prestige classes, bio-weapons, and even a smattering a kobold poetry (?? ), The Koboldnomicon will change how you look at kobolds. No matter how much planning you do, your players will always figure out a way to throw you off. Whether it is suddenly deciding they want to visit every tavern in town, or take a ship instead of the main road to the next city, or just go looking for a library, at some point you'll be left making it up as you go along. 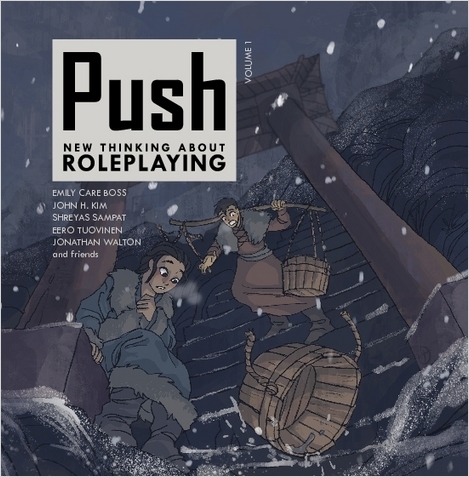 The Adventure Havens Series is designed to help GMs deal with these random encounters. Each supplement will be packed with original locations, NPCs and story hooks to add hours of additional gameplay to your campaigns. Have you ever wondered where monsters come from? I mean, it's not like the CPU randomly generates them just instants before your party of plucky heroes pulverizes them, right? What do they do the rest of the time? Do they plot amongst each other? Do some of them fight against evil, or are they really the blasphemous creatures everyone thinks they are? Monster Mash is the first supplement for Super Console, giving you the ability to play a powerful, evolving monster character. Play a monsters-only game, or mix-and-match with regular Super Console character classes. 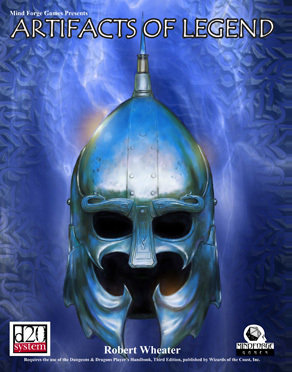 Satanis Unbound is the first sourcebook for the Empire of Satanis roleplaying game. It contains a wealth of information about the Fiend realm of K'thana and everything having to do with those demonic alien horrors... weird places, malevolent organizations and cults, dark pictures of creatures and cities, a glossary of the Fiend language, short fiction, time line of the eldritch aeons, allegiances to hideous Gods, new scenarios, new races and Color Sphere, esoteric quotes from Thomas Ligotti, and a lengthy essay on my magical philosophy. 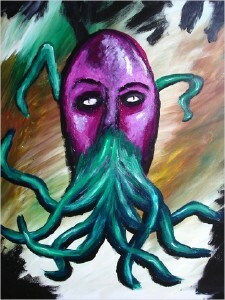 Satanis is the game that is taking over the world... His slimy tentacles dripping with crimson and black! 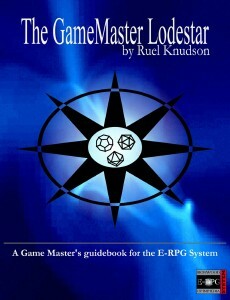 The Game Master Lodestar is the guidebook and game aid that gives GMs the secrets to running exciting and dramatic games. The Lodestar is designed to work with all E-RPG games. Over 60 pages of tips and tricks, design elements, and tools for creating your own custom content. The Game Master Lodestar also shows you how to best integrate the three Sagas game settings together to create a truly unique game world. 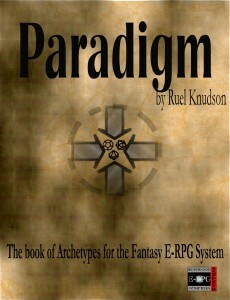 The Fantasy Sagas Paradigm is a collection of 50 pre-created character archetypes designed for the E-RPG Fantasy Sagas game. Each character is fully developed and ready for play complete with all the character record sheets, equipment, skills, spells and power lists you need to get started quickly. Players and Game Masters can enjoy these characters as designed or use them as templates for creating new characters and NPCs. New players will find it easy to jump into any game quickly while experienced players will find the new concepts a helpful guide to designing and modifying a diverse range of new characters. Game Masters can enjoy a thorough list of useful NPCs ready for play at a moment's notice. 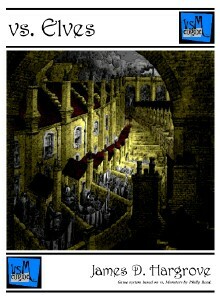 An baroque OGL fantasy setting supplement for use with Philip Reed's vs. Monsters.